Joan and I made one of our regular trips to Centralia, Pennsylvania, earlier this week. (What? Not everyone makes regular trips to Centralia?) 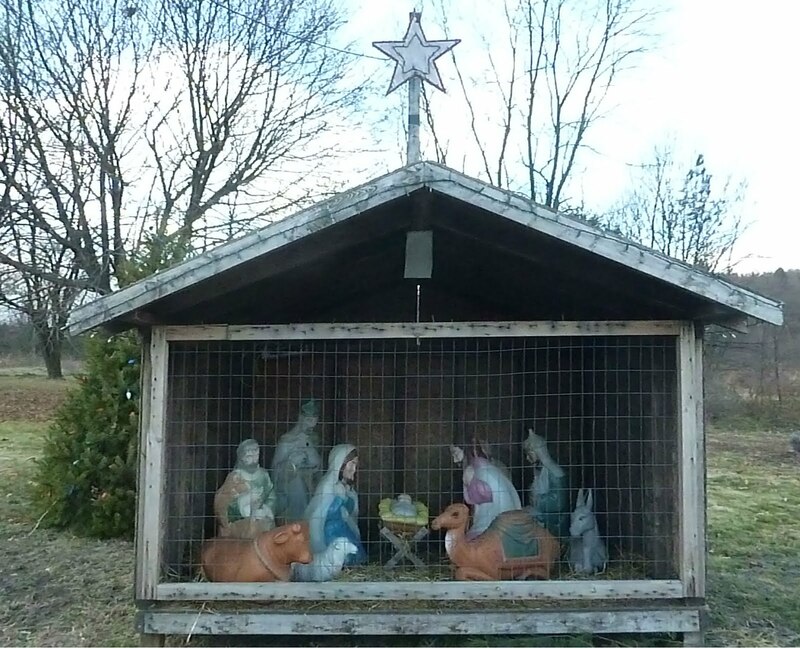 And, even though it's a ghost town with a mine fire burning beneath it, we were heartened to see that someone took the time to put up a nativity scene, a Christmas tree and some lights at the corner of the former town's main intersection. 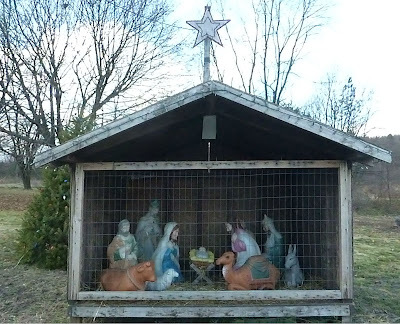 The Christmas spirit is alive and well there, amidst the abandoned desolation. What is the unlikeliest spot that you've ever seen decorated for the holiday?